In Educational Chess vs. Chess Education, our main message was that the greatest benefits from chess seem to come from its ability to enhance specific executive function cognitive skills. Furthermore, because these very skills are what underlie most analytic thinking, the kids who most need improvement in this area (and whose lives could be affected most beneficially by chess) are not likely to spontaneously become the strongest chess players. So in order to have maximum educational impact, educational chess emphasizes using it as a primary tool for executive function skill development in every child. As such, it is critical to maintain a focus on kids across the entire spectrum of skills, and not just the ones at the top. Here's an overview of the findings from both cognitive and neuroscience studies that has led to this Educational Chess approach. For those interested in the many fascinating details, section 2 contains more specific information. Self-control may be the most important of all of the executive function skills in predicting life outcomes. Young children possessing weak self-control often fare far worse as teenagers and adults than do those with strong self-control – in every single outcome measured across a wide spectrum of personal, professional, social, marital, financial and even health measurements. In recent years, researchers have come to believe that the so-called Executive Function skills – those cognitive thought processes that help the brain organize information and solve problems in a thoughtful and effective fashion – are critical for success in the modern world. Studies strongly suggest that the most important of these executive functions – and the one that is most closely predictive of eventual success in life – is a child’s ability to exercise self-control at an early age. Extensive research has now shown that young children who measured at the low end of the self-control scale often fare far worse as adults than those who were at the top, in every single outcome measured across a wide spectrum of personal, professional, social, marital, financial and even health measurements. Why? Because children who demonstrate high levels of self-control (also called impulse control) appear to possess a behavioral and neurophysiologic infrastructure that lets their brains work in a way that can succeed in the environments required by modern life. As children, this leads to successful performance in school. As adults, this leads to better personal, professional, social and even health outcomes. This evidence also suggests that improving self-control as children may lead to better outcomes as adults. Every step up this self-control scale led to better outcomes in later life vs. the level below. Additionally, children who did show natural improvements in self-control over time did better than those who did not. This strongly suggests that anything that educators can do to improve impulse control when kids are young may pay huge dividends as they grow into adulthood. There is a large body of evidence linking low socioeconomic status (SES) to both poorer performance in school and impaired executive function skills. The data shows that self-control ability can vary widely between individual children regardless of what their backgrounds and IQs may be. But another large body of knowledge has established that economic background – specifically Socioeconomic Status (SES) – may also be a critical factor in determining the specifics of a child’s cognitive abilities. (SES refers to the combination of financial, educational and social factors that determines economic standing. Low SES is associated with poverty, and high SES affluence). It has long been known that children from low SES backgrounds perform below children from high SES backgrounds on tests of intelligence, language proficiency, and academic achievement. In addition, low SES children are more likely to fail courses, be placed in special education, and drop out of school compared to high SES children. SES is therefore also recognized as an important factor in determining life outcomes. But the exact reasons for this have never been proven. There is now objective evidence from sophisticated neurophysiologic studies that shows that growing up in low SES environments – which are often characterized by high levels of stress – may actually lead to different functionality of the part of the brain that controls the executive function skills. If so, then at least part of the reason that low SES children do poorly in school may have to do with the fact that their brain functions are actually different than high SES children in the skills that matter the most to educational success – the executive function skills. This finding may have huge relevance to the many issues that children from at-risk areas face in schools. 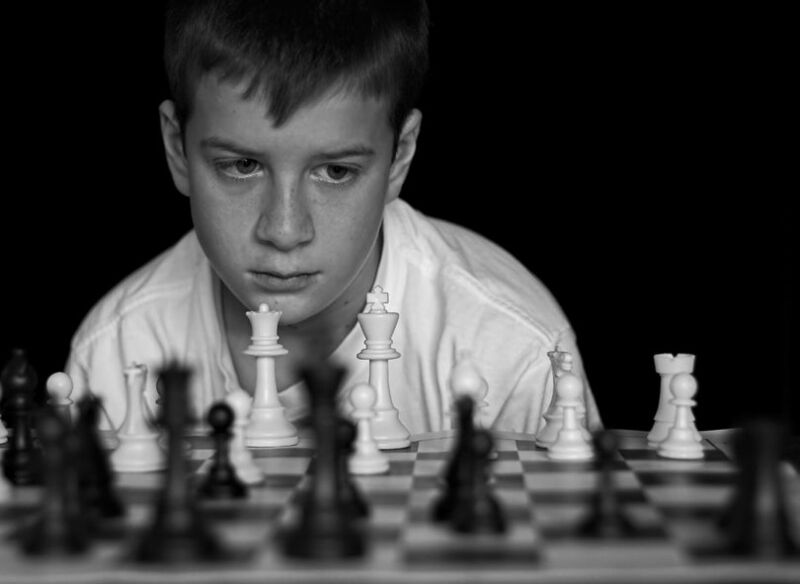 Given the increasing amount and sophistication of the evidence that executive function skills are often primary determinants of life outcomes, then the use of chess – which is thought to help stimulate the development of many of these very skills – should be a primary educational tool in schools throughout the country. But as we’ve discussed, the successful application of chess in this manner requires more than just having a chess program. The nature of that program – its focus, goals, and the tools it uses to achieve its objectives, are all critical in determining the likelihood of success.